Clarke is reunited with her mother and friends at Camp Jaha on The 100 Season 2 Episode 5. Will they all be happy reunions? It's unlikely! 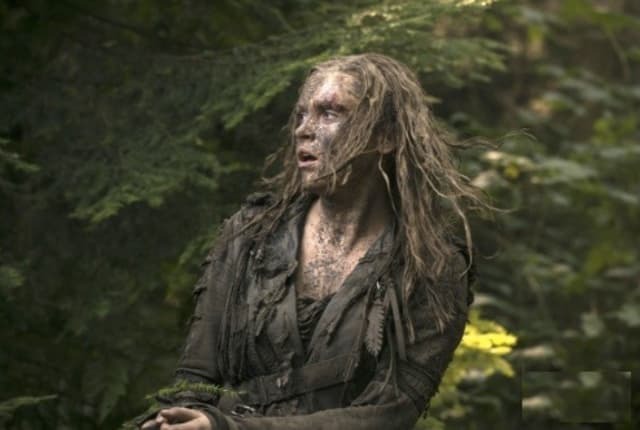 Clarke is brought into Camp Jaha by Major Byrne who mistakes her for a Grounder until Abby recognizes her daughter. Despite their differences, they are both happy to see each other, though that connection doesn't last. The mother and daughter have very different ideas about what to do next. Bellamy and Octavia return to Camp Jaha and are reunited with Clarke and break the news that Finn is still out there looking for her with Murphy. They come up with a plan and secretly leave Camp Jaha with Raven's help. Abby's upset about that and Raven hears about it, but throws it back in the new Chancellor's face. Kane goes with the Grounder to try and make peace with them, but he ends up with a bigger surprise than he could possibly have imagined. At Lincoln's village, Finn and Murphy attempt to find their friends. When Clarke and the others aren't there, Finn begins to lose it. In an odd twist, Murphy's the one trying to talk reason into Finn. Whether it works or not, you'll have to watch. The hour is filled with non-stop action. Watch the 100 online now! On The 100 Season 2 Episode 5, Kane leads a mission of peace while Finn's search for Clarke takes a dangerous turn and Jasper agrees to take part in a risky experiment.